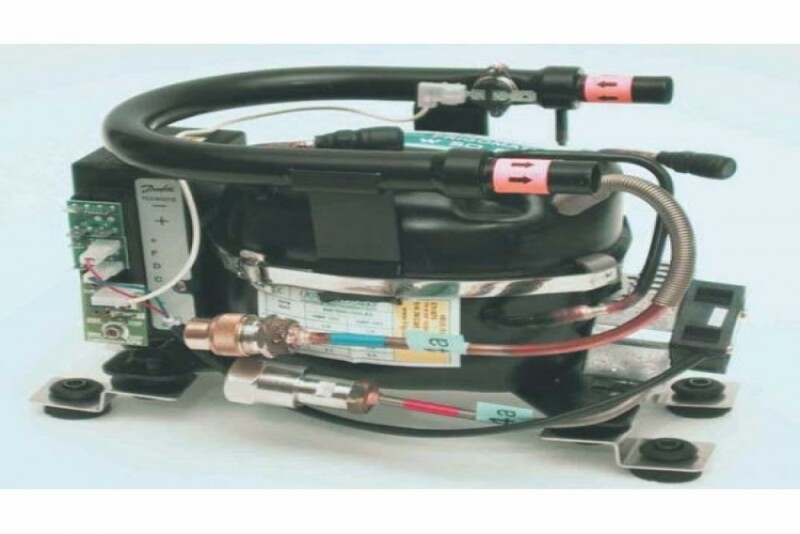 Frigoboat's pumped water cooled marine refrigeration compressor/condenser, using the Danfoss/Secop 12/24v BD50 compressor and Frigoboat's self-sealing couplings. Unit comes pre-charged with R134a. Needs a water pump, although one pump can be used by up to 4 compressors with a pump relay installed. Best in refridgerator boxes 7-20 cu ft, freezer boxes 5-10 cu ft.